I was formerly a mid-level leader of the Stream of Recovery. Since I was called in the Lord in 1985, I had been in the stream of the Lord’s recovery. I always believed that the Bible was a book of life, in which every word was breathed by God, and that God’s good and kind intention for mankind over six thousand years had been fully revealed to us in it. So, I regarded the Bible as my lifeblood and very much adored Brother Lee who had brought us the “higher vision.” I always believed that God had already unlocked all the mysteries in the sixty-six books of the Bible through Brother Lee and that all the mysteries and the essence of the Bible had already been revealed to us. When the antichrists would make the covenant, when the temple would be rebuilt, when the Lord would return, and where and when the Lord would take us up, all these had been told to us. So we only needed to attend meetings, be obedient, and wait to be taken up to reign and rule when the revelations were fulfilled. Therefore, I paid much attention to reading Brother Lee’s messages. I also shepherded the brothers and sisters in the area where I ministered according to the methods of Brother Lee. Honestly speaking, at that time, I only wished that I could be full of the words from the messages of Brother Lee either when I preached or when I fellowshipped, for Brother Lee once said that he was the Lord’s recorder and that we should all become his recorders. It could be said that the brothers and sisters under me and I worshipped Brother Lee’s messages as we worshipped God. We read his messages at usual times, shared his messages at the meetings, and followed the prescribed routine in his messages waiting for God’s return. I condemned anything different from the “vision revealed” by Brother Lee as a “heresy” and would not accept it at all. At the end of the fall of 1994, a brother came to preach Almighty God’s work of the last days to me, saying that the seven seals had been broken. I immediately contradicted him with the scriptures and drove him away without giving him any chance to explain. In 1996, two former co-workers of mine came to visit me and fellowshipped with me about Almighty God’s work of the last days. As I found that what they fellowshipped did not tally with Brother Lee’s exposition of the Bible, I judged arbitrarily that they had been “deceived” and had joined the “heresy.” So I forcibly drove them away. After that, I felt a great repugnance and resistance to the people who came to preach the gospel of the last days. I went around sealing off the churches, not allowing the brothers and sisters under me to have contact with those who preached the gospel of the last days. And I said, “Those people are sheer antichrists, the deceitful false prophets, a kind of people to be cursed by God, and they are like the grasshoppers in late autumn whose days are numbered…” During that period of time, there were continually people coming to preach the gospel of the last days to me, but I refused them all. That lasted until March 5, 2002. On that morning, a brother of our denomination, who had accepted Almighty God, called me and invited me to his home. I was unwilling to go there. But as he invited me repeatedly, I felt embarrassed to turn him down. I thought to myself, “I’m just going to meet a friend. I won’t be afraid if he talks about the work of the last days. I have Bible knowledge, and I am clear about the vision. Why not go?” When I arrived there, I saw another brother with him. I gave that brother a glance and thought scornfully, “Is this what you call the master-hand? What can such a person preach?” The brother said to me smilingly, “Brother, let’s have a fellowship. We can fellowship about what we know.” I thought to myself, “Don’t you just want to talk about the three-stage work? What else can you say? You will only repeat those few words you have been specially trained to preach. The same old story, I’ve heard too much of it! Today, I will stump you with hard questions and put you on the spot!” So, I said, “Today when we fellowship, we shall interpret whatever verse in the Bible according to its proper meaning. If we depart from the Bible, then there is no need to fellowship. We shall fellowship in the way that I ask questions and you answer them.” “OK! Let’s do what you say,” replied the brother readily. So, I said loudly, “Can you tell me what ‘lightning’ means? You have to find this word from the Bible. I’ll believe in your God if your answer convinces me.” The brother smiled. He opened the Bible, turned to Psalms 97:4, and read, “His lightning enlightened the world: the earth saw, and trembled.” At this, my heart skipped a beat. “Oh, my! He answers so quickly and correctly. This is far beyond my expectation.” Seeing that my countenance suddenly changed, he said with a smile, “Brother, this one scripture does not prove anything. Let’s keep seeking. The Lord is really mystery. As long as we seek with a humble heart, He will unlock His mysteries to us.” Then, he opened the Bible again and found out many other verses: Psalms 18:13-14, Zechariah 9:14, Matthew 24:27, Luke 17:24, Revelation 4:5, and so on. Only then did I find that I, who had regarded myself as being “endowed with great talents” and “rich in knowledge,” was actually so superficial and ignorant. So I dropped myself and listened to the brother’s fellowship with a seeking heart. Enlightened and guided by the Holy Spirit, I felt as if awakening from a dream. “Actually, the one I have been resisting for so many years is not a human but the Savior Jesus whom I have been earnestly expecting for a long time. Almighty God is precisely the returned Jesus!” I really hated myself for being so blind and foolish that I believed in God yet did not know God. I echoed what others said, neither investigating nor seeking, and I showed myself off with the very little Bible knowledge that I had. I thought that I had known everything after reading and wearing out several Bibles, and I did not seek God’s intention. I was really so arrogant and ignorant. Then, I fellowshipped with the brother about Brother Lee’s exposition of the Bible. The brother said, “Matthew 10:24 says, ‘The disciple is not above his master, nor the servant above his lord.’ This shows that although Brother Lee had done much work, he was only a man, and could not replace God Himself, and we shouldn’t regard his messages as God’s words. Revelation 5:3-5 says, ‘And no man in heaven, nor in earth, neither under the earth, was able to open the book, neither to look thereon. … the Lion of the tribe of Juda, the Root of David, has prevailed to open the book, and to loose the seven seals thereof.’ This shows that no one is worthy to open the scroll, and only God Himself is able to open the little scroll.” Having said that, he took out a book and said, “This is Almighty God’s personal utterance—the little scroll.” Then, he read me a passage of God’s word in “The Mystery of the Incarnation (1),” which says: “Even a man who is used by the Holy Spirit cannot represent God Himself. And not only can this man not represent God, but his work cannot directly represent God. That is to say, the experience of man cannot be placed directly within the management of God, and it cannot represent the management of God. 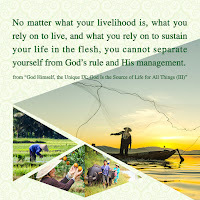 All the work that God Himself does is the work He intends to do in His own management plan and relates to the great management. The work done by man (man used by the Holy Spirit) supplies his individual experience. He finds a new path of experience from that walked by those before him and leads his brothers and sisters under guidance of the Holy Spirit. What these men supply is their individual experience or spiritual writings of spiritual men. Though they are used by the Holy Spirit, the work of such men is unrelated to the great management work in the six-thousand-year plan. They are merely raised up by the Holy Spirit in different periods to lead people in the stream of the Holy Spirit until they have fulfilled their function or their lives come to an end. The work they do is only to prepare an appropriate way for God Himself or to continue one item in the management of God Himself on earth. Such men are unable to do the greater work in His management, and they cannot open up new ways out, much less conclude all the work of God from the former age. Therefore, the work they do represents only a created being performing his function and cannot represent God Himself performing His ministry. This is because the work they do is unlike that done by God Himself. The work of ushering in a new age cannot be done by man in God’s place. It cannot be done by any other than God Himself. All the work done by man is performing his duty as one of creation and is done when moved or enlightened by the Holy Spirit. The guidance that such men provide is how to practice in man’s daily life and how man should act to the will of God. The work of man neither involves the management of God nor represents the work of the Spirit. As an example, the work of Witness Lee and Watchman Nee was to lead the way. Be the way new or old, the work was done on the basis of not exceeding the principles of the Bible. Whether the local churches were restored or built, their work was to establish churches. The work they did carried on the work that Jesus and His apostles had not finished or further developed in the Age of Grace.” After listening to this passage of God’s word, I understood that Brother Lee was only a man. Neither he himself nor the work he did could represent God. All he did was to lead other brothers and sisters according to the principles in the Bible. He could not go beyond the Bible and beyond the Age of Grace to do a new work. 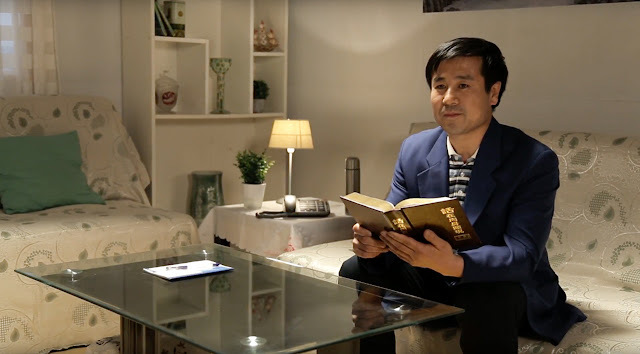 Although Brother Lee could explain the Bible and preach about some biblical knowledge and theological theories, he knew nothing about the Lord’s coming again and the details about how the Lord’s work in the new age would be done. So we could not measure God’s new work or draw any conclusion about God’s work according to Brother Lee’s exposition of the Bible. Then, the brother read me a passage of God’s word in “Concerning the Bible (1),” which says: “You all need to understand the Bible—it is very necessary that you do so. … The Bible is a history book. If during the Age of Grace you were to eat and drink the Old Testament, practicing the requirements of the Old Testament age, then Jesus would forsake you, condemn you. If you had tried to impose the Old Testament on Jesus’ work, you would have been called a Pharisee. And so today, if you eat and drink and practice the Old and New Testaments, then the God of today will condemn you; you cannot keep pace with the work of the Holy Spirit today. If you eat the Old and New Testaments, then you are one outside the stream of the Holy Spirit. In Jesus’ day, He led the Jews and all those who followed Him according to the work of the Holy Spirit in Him. He did not look to the Bible for evidence, but spoke as His work dictated. He did not concern Himself with what the Bible said, did not lead His followers down a path found in the Bible. From the very beginning, He preached the way of repentance, and the word ‘repentance’ was not mentioned at all in all the prophecies in the Old Testament. Not only did He not follow the Bible, He brought forth a new path and did a new work. He did not make reference to the Bible when He preached, and the miracles He worked—healing the sick, casting out demons—had never been performed by men during the Age of Law. No one in the Age of Law did the work He did, taught those lessons, had that authority. He simply did His new work, though many people condemned Him, even crucified Him, by using the Bible. His work went beyond the Old Testament; if that had not been the case, why would they have nailed Him to the cross? Was it not because His teachings, His power to cure the sick and cast out demons, had never been recorded in the Old Testament? The work of Jesus was to bring forth a new path; He did not deliberately set out to ‘wage war’ against the Bible or abolish the Old Testament, but simply performed His ministry, bringing the new work to those who thirsted for Him and sought Him out. He was not trying to explain the Old Testament or defend its work. Carrying on the Age of Law was not His goal, for He did not care in the least whether His work was grounded in the Bible, but simply did the job that He needed to do. So He did not attempt to explain the Old Testament prophecies, did not base His work on words spoken in the Old Testament Age of Law. He did not concern Himself with what the Old Testament said, whether it accorded with His own work, did not care how other people saw His work or condemned His work. He simply kept on doing the job He needed to do, though many people condemned Him, invoking the words of the Old Testament prophets. In people’s eyes His work was not based on a shred of evidence, and in many ways it ran counter to what was recorded in the Bible. Were they not grossly in the wrong? Must God’s work obey any rules? Does He need to follow the words of prophets? Which is greater, the Bible or God? Why must God’s work be in line with the Bible? Is it really not within His right to stand above the Bible? Can He not depart from it and do other work? Why did Jesus and His disciples not observe the Sabbath? If He was to observe the Sabbath, to practice the commandments of the Old Testament, then why, after His coming, did He not observe the Sabbath, but washed others’ feet and covered His head, broke bread and drank wine? Were these commandments mentioned in the Old Testament? If Jesus was to adhere to the Old Testament, why did He break these rules? You must know which came first, God, or the Bible? As He is the Lord of the Sabbath, can’t He also be the Lord of the Bible?” I listened quietly. Every word of God was so practical and so sincere that I felt bright in my heart and everything became clear in my eyes. I came to know that God’s work always progresses forward and is always new, and that God does not work according to the prophecies of the Bible, but does the newest and most realistic work according to His plan and man’s need. After hearing this passage of God’s word and thinking back to what the brother had fellowshipped with me about this stage of God’s work in the last days, I realized that God is so wonderful and so unfathomable. 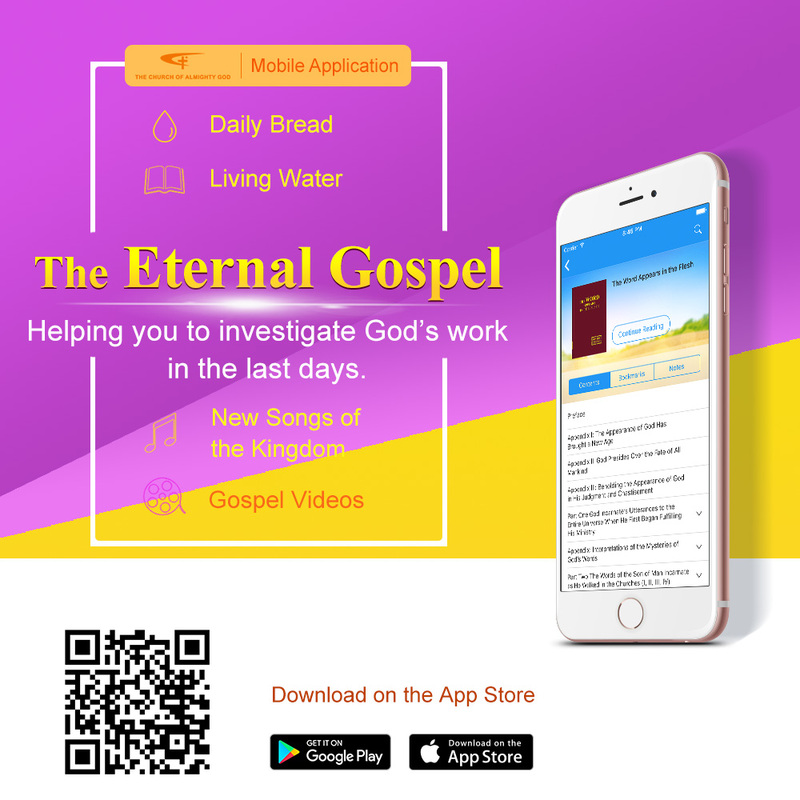 The new work done by God incarnate this time is to continue the work that God had not yet finished in the Age of Law and in the Age of Grace and is a newer and higher work. The Bible is only a record of the history of the first two stages of the work and the prophecies concerning the work of the last days, but it does not contain all God’s work and words, and not every word of the Bible is the word of God. But this time, God has returned to personally utter His voice and do the work of judging and purifying man with the word, and it is the last stage of the work in God’s six-thousand-year management plan. Such work of God has brought people into a brand new age and brought them the practices of the new age… Through this fellowship and eating and drinking God’s word, I, enlightened by God, understood many truths and realized that this was indeed the work done by God.